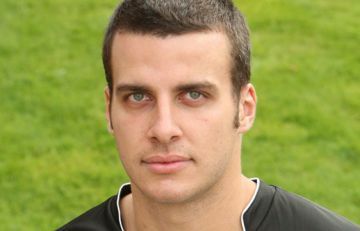 Steven Taylor contract talks | NUFC Blog. Archive for tag: Steven Taylor contract talks. Taylor and Tiote set for long term deals? Talk of a longer deal for Tiote? I’ve found a bit more newspaper gossip that could be of interest to you guys regarding Steven Taylor and Cheik Tiote. Don’t worry, as ever on NUFCBlog.org we will endeavour to inform you of which is the wheat and which is the chaff with regard to news reporting. On that basis we’ll start off with the chaff. The News of the World is reporting that talks with Steven Taylor are scheduled for the start of next week, and that Taylor is set to put pen to paper on a new long-term five-and-a-half year deal that will keep him at the club until the grand old age of 30. Does Steven Taylor deserve to be starting? Steven Taylor spoke yesterday about being patient in his attempts to force his way back into the first team fold at Newcastle United. Steven made him comeback from injury on Tuesday in a behind-closed-doors friendly against Manchester City. He got through the full 90 minutes in the 1-0 victory and paired up with Sol Cambell in the heart of defence. This is following an injury set back the defender suffered during a pre-season fixture against Carlisle. Steven hasn’t a played a competitive game of football in 10 months. His last game with the first team was during a Championship fixture against West Bromwich Albion last season. Carroll shows Taylor how to do it! The latest hot topic regarding Newcastle United has to be the signing of Andy Carroll to a new long term contract with the club. It shows just how much Carroll loves the club. I mean genuinely loves the club. He has shown commitment and has stated that the only thing he ever wanted to do was play for Newcastle. He is living the dream at the moment, the dream that you or I will have shared at some point no doubt. It would be nice to see the same commitment from Steven Taylor if I’m being honest with you, but I have my doubts over the intentions of the adopted Geordie. I understand I will be treading a fine line on this one and some people may not like what I am writing but at the end of the day it is my opinion. No news on Steven Taylor’s contract then? Taylor - Still awaiting new deal. It may have been glossed over now that the football season is back in full swing, but Newcastle still have defender Steven Taylor on the transfer list, and as yet all parties appear to be no nearer to any agreement. Taylor was placed on the transfer list towards the end of August after talks broke down between the club and his advisors over a new deal for the defender. Figures were speculated about, figures were denied, but the upshot of it is that none of us are any wiser as to what is going on. The last I heard on the situation was that talks were ‘ongoing’ and ‘amicable’ between the club and representatives of Taylor. They must be some bloody talks then! Taylor situation can still be resolved. After all the initial reaction to the news yesterday that Steven Taylor has been placed on the transfer list, one thing has finally stood out to me – The situation can still be resolved. It certainly seems as though Chris Hughton would like to keep the player at St James’ Park and he described the decision to put Taylor on the transfer list as a “club decision”, although I’m not quite sure what that means.